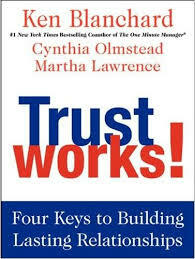 This is a biased review of Trust Works! It is biased because I had the opportunity in San Diego to meet and spend time with Ken Blanchard and the Blanchard Company two weeks ago. I was impressed by how down-to-earth and open Ken, his wife Margie, and the Blanchard Companies are. Ken signed my book with my special request to put in a line that he and Norman Vincent Peale wrote in The Power of Ethical Management: there is no right way to do a wrong thing. The Blanchard family has been to Churchill Manitoba which is in my home province. Not only were they enthralled by the polar bears they demonstrated a willingness to go anywhere for an enriching experience. Trust is fundamental for employee engagement. Cats and Dogs. This book goes to the cats and dogs. An easy story to read about trust based on a fighting, backbiting, and a sabotaging cat and dog. Please know that trust does not have to go to the dog house and there are specific steps we can take to build trust for lasting relationships. Assessment. There is a short and practical assessment we can complete on our own trust level and have others do a similar form to assess our trust. Trust me, if you do this it will help you understand and assess trust at a personal and interpersoanl level. The ABCD’s of Trust. Trust is based on the four dimensions of Able, Believable, Connected, and Dependable. Trust in organizations starts with the first four letters of the alphabet. The Defining Competency. “Smart organizations are increasingly taking proactive steps to build high-trust cultures, because they’ve seen clear evidence that it helps improve the bottom line. With trust, creativity flourishes, productivity rises, barriers are overcome, and relationships deepen.” Remember, trust works. I encourage you to buy the book, it will make for a short and trusty companion on your next flight or afternoon read at the beach. David Zinger is a global employee engagement expert who in 2013 has worked on engagement in Delhi, Mumbai, Pune, Berlin, Prague and New York. He builds and sustains his own engagement in tight 24-minute periods. 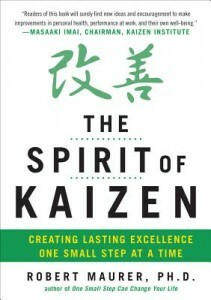 He has pioneered a number of significant approaches to engagement. To access Mr. Zinger’s services email him: david@davidzinger.com. 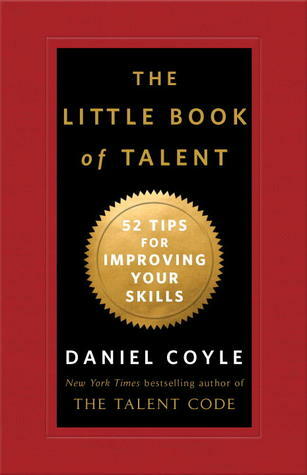 Filed Under: Employee Engagement Tagged With: 5 zingers, book review, David Zinger, employee engagement speaker, Ken Blanchard, Trust works!